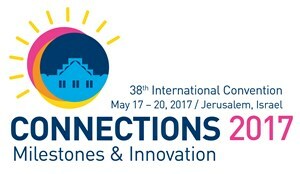 The World Union for Progressive Judaism is thrilled to welcome MK Stav Shaffir to CONNECTIONS 2017 as a speaker at our plenary session. Stav Shaffir is the youngest female Knesset member in Israel’s history, outspoken for demanding fiscal oversight of settlement funding and supporting a wide array of social justice issues: from affordable housing for young Israelis to the rights of Women of the Wall. Shaffir placed second in the January 2015 primaries of the Labor Party and holds the third place in the internal Labor list (or alternatively the fourth place on the combined Labor–Hatnuah list). Shaffir was one of a small group of leaders of the 2011 Israeli social justice protests, Israel’s largest-ever protest, focusing on housing, public services, income inequality and democracy – and eventually rose to become spokeswoman of the movement. A video of Shaffir’s speech at the Knesset on January 21, 2015 went viral. In it, Shaffir sharply attacks Israel’s right wing politicians, saying, “Don’t preach to us about Zionism, because real Zionism means dividing the budget equally among all the citizens of the country. Real Zionism is taking care of the weak. Real Zionism is solidarity, not only in battle but in everyday life.” Shaffir was one of only eight MKs to forgo their 2015 pay raise calling it “distasteful” in light of wage stagnation in the Israeli job market. Most recently, Shaffir was appointed Chair of the newly established Committee of Government transparency in the Organisation for Economic Co-operation and Development (OECD). The Committee is a joint initiative led by Shaffir, the Israeli Foreign Affairs ministry, and the OECD representative in Israel. The task of this committee is to share knowledge, research, and methods between different parliaments across the world, in a mission to expose and end political corruption. The first meeting took place in Paris on the February 12, 2017 and there were representatives from more than 90 different countries in attendance. Shaffir is an inspiration to upstart activists and social justice advocates across the Israeli religious and social spectrum. The World Union looks forward to attending Shaffir’s plenary session on Inspiring the Next Generation at CONNECTIONS 2017, where she will talk about her experience and advice for mobilizing younger segments of society to generate significant change at the highest levels of government. For more about CONNECTIONS 2017, including how you can register to join, click here today! Please fill out this form to share "MK Stav Shaffir To Join Program of CONNECTIONS 2017" via e-mail.